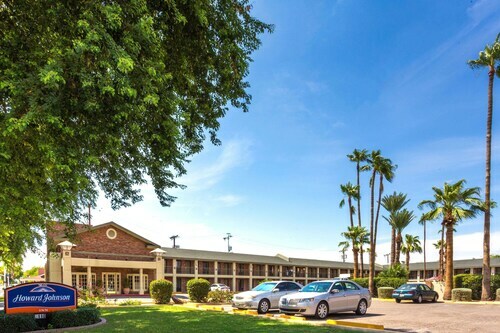 This 2-story hotel is a half-mile from Scottsdale Fashion Square and Old Town, 2 miles from Camelback Golf Course, and within 4 miles of several corporate headquarters. 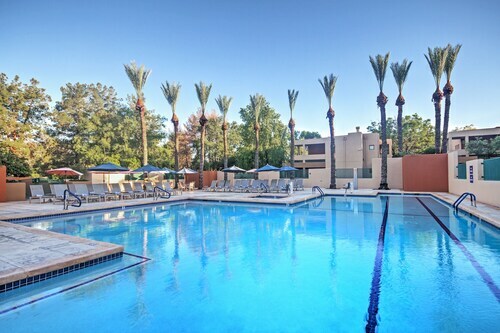 Located in South Scottsdale, this resort is within 3 mi (5 km) of Desert Botanical Garden, Old Town, and Phoenix Zoo. Scottsdale Fashion Square and Scottsdale Stadium are also within 3 mi (5 km). 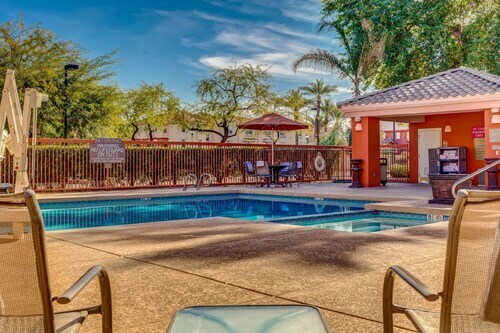 This family-friendly Scottsdale resort is located near the airport, within 2 mi (3 km) of Old Town, Scottsdale Fashion Square, and Scottsdale Waterfront. Camelback Mountain and Scottsdale Stadium are also within 3 mi (5 km). 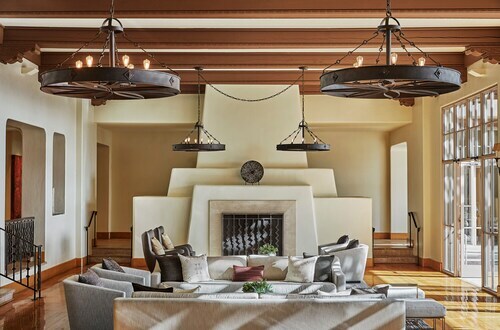 Set against the slope of Camelback Mountain, this 250-acre resort is in the Valley of the Sun between Phoenix and Scottsdale, and Historic Old Town is two miles away. 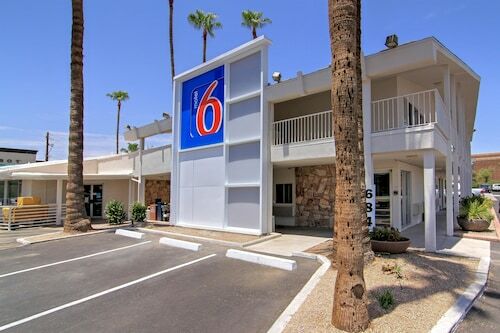 How Much is a Hotel Room in Scottsdale? 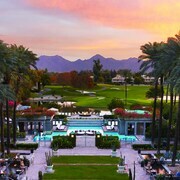 Hotels in Scottsdale start at $53 per night. Prices and availability subject to change. Additional terms may apply. 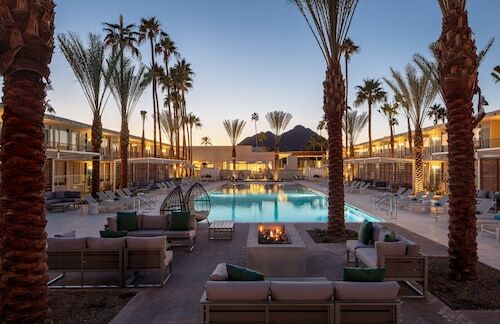 Scottsdale, Arizona is referred to as the desert's equivalent of Miami's South Beach -- as well as "The West's Most Western Town." Kind of confusing, right? The South Beach reference points towards a vibrant party scene, and that's not usually what you see in western movies. 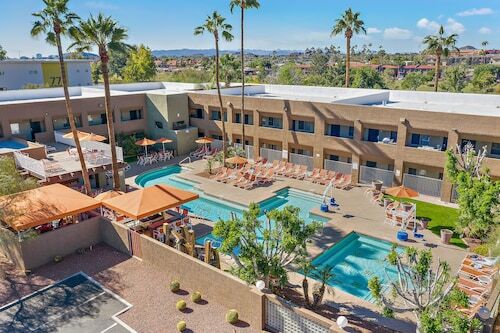 Either way, whether you book a cheap hotel in Scottsdale or one of the very best Scottsdale hotels, you're going to have an absolute blast. 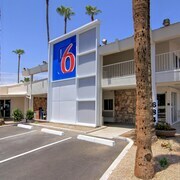 This town has something for everyone - whether your looking to relax and bask in the sun or party Southwestern style. 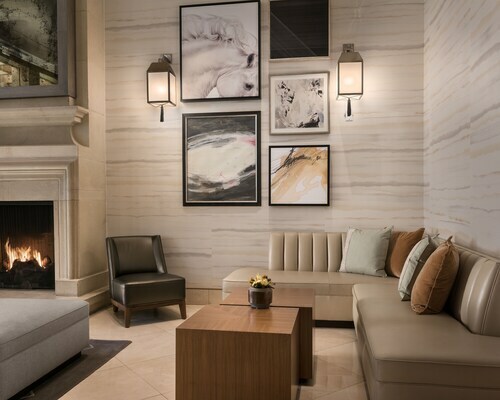 If you came to Scottsdale looking to enjoy culture, the Scottsdale Museum of Contemporary Art and the Scottsdale Fashion Square won't let you down. Of course, these two attractions can only keep you occupied for so long. 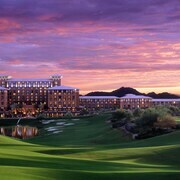 Kill time on the green by booking Scottsdale hotels near golf courses, and stay right by where Phoenix Open is held. Prefer your outdoor spaces a little less manicured? 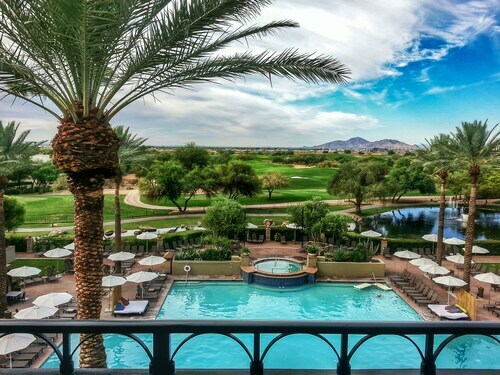 Focus on finding a Scottsdale resort near natural wonders -- such as Pinnacle Peak or Camelback Mountain -- and capture gorgeous nature shots for your social media pages. 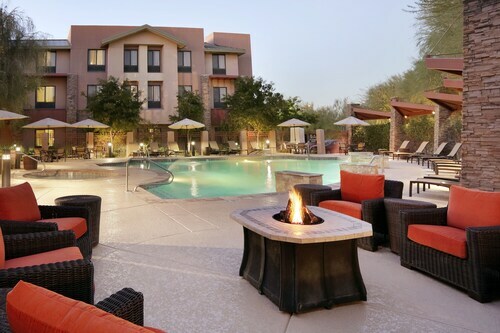 While there are some fantastic restaurants inside 5-star hotels in Scottsdale, try venturing out and enjoying the local cuisine and nightlife. Whether you're looking for mouthwatering Mexican dishes or some good old American fare with quirky decor to round things out, you can find it in Old Town. Once your belly is full, it's time for a night on the town. Head downtown for new clubs or best dance spots. 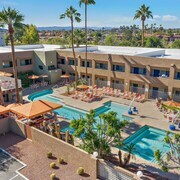 If you're ready to enjoy this beautiful desert oasis, Travelocity has access to the best deals on hotels in Scottsdale to make sure the "home base" for your vacation is as amazing as the trip itself. 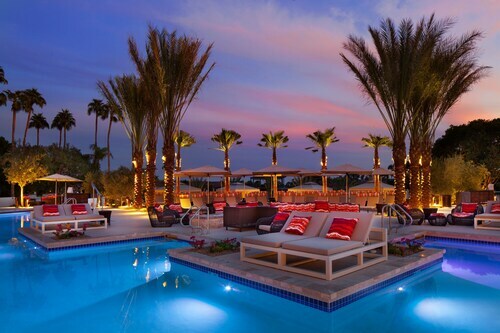 Wonderful resort, will definitely go again. Check in was fast and staff very friendly. Beautiful facilities and location. Service in restaurants was a little slow. Staff was extremely courteous and attentive. Food and bev prices are high. A 5 oz. glass of Chardonnay for $16 is ridiculous (pool). The property was quiet and calm, very pleasant. Room was clean, bed comfortable and got a quiet night's sleep. The original check in clerk was very, very uninviting and rude but we ended up checking in with someone else and they were at least not rude. This was a beautiful room! It was truly amazing! They have the best free continental breakfast!! I highly recommend! !